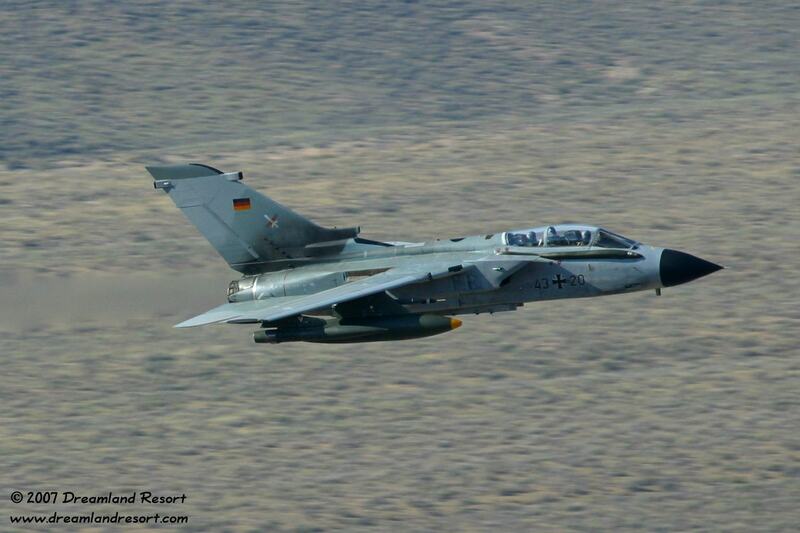 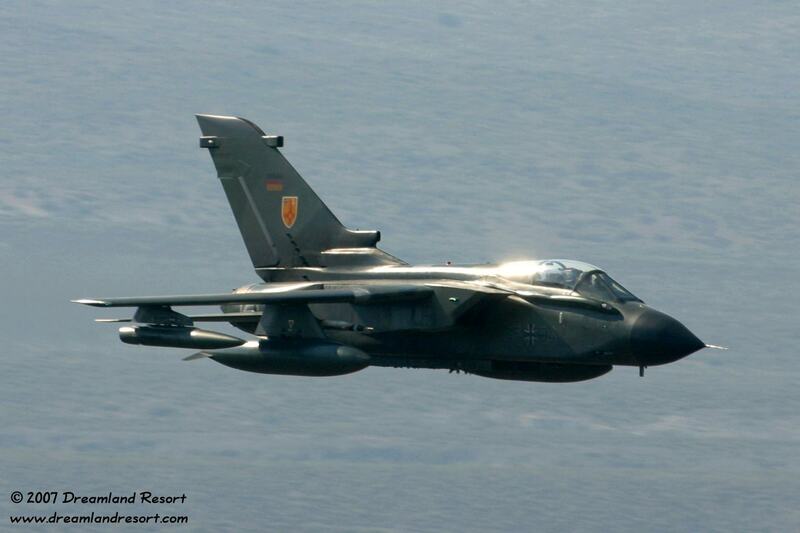 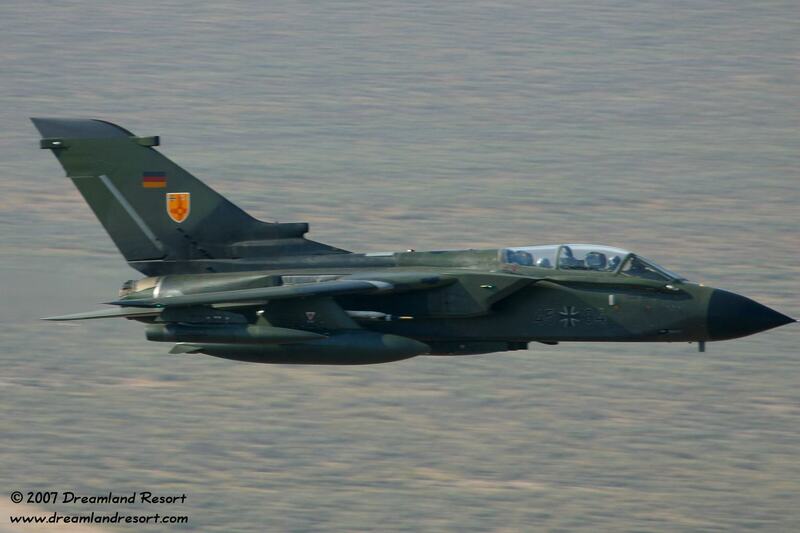 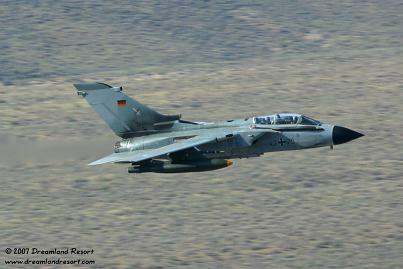 German Tornados of Jagdbomber Geschwader 31 (JBG31) "Boelcke" at Coyote Summit. The first three aircraft have recently been transferred to the German Air Force Flight Test Center (GAFTTC) at Holloman AFB, NM. They show the yellow GAFFTC patch on the tail. The tail of the fourth Tornado still shows the patch of JBG31. 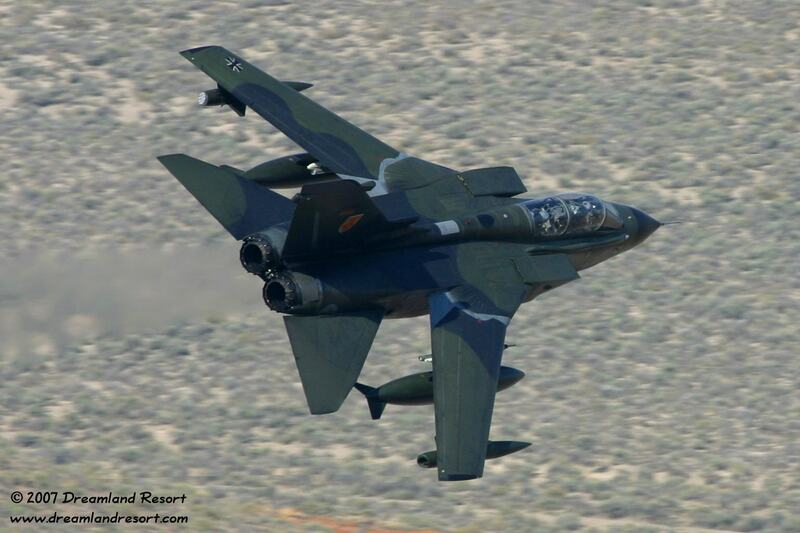 Click on any picture to enlarge.